Hello. Hello, this time we share a very popular design. 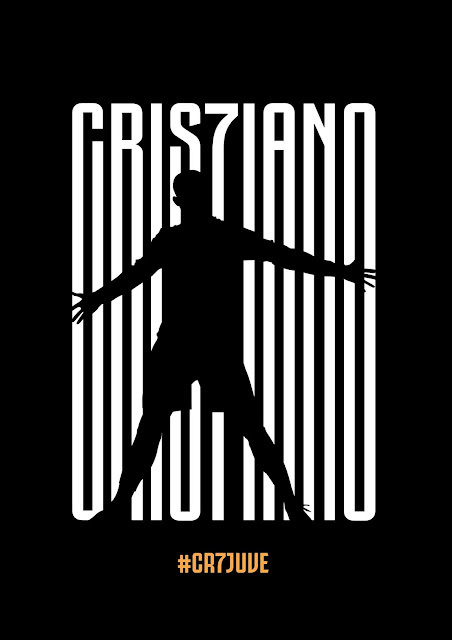 design is a style of cristiano ronaldo at the Club juventus. We are very enthusiastic when asked to make a tutorial for this design, because we are also fans of cristiano ronaldo. the design is dominated by text effect that was the setting of the celebrate ronaldo. While the font used is the juventus fans bold, the font is intended for fans of juventus, you can download the font of juventus fans at the link below. actually the font juventus fans is not elongated like design above, we will make the fonts it becomes long manually with photoshop, you can watch the tutorial below.